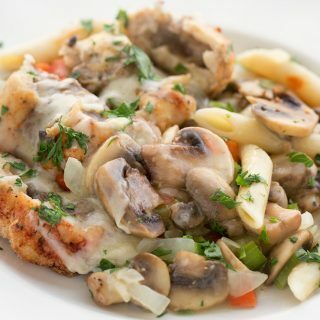 Cooking doesn’t have to be difficult and my Grilled Chicken Alfredo is not only delicious, it’s easy to prepare! And as an added bonus most of your cooking is done on the grill, so you’ll only have a few pots to wash. This post is sponsored by Tyson Foods, Inc. All comments and opinions are entirely my own. Since moving to Florida, grilling has been a year-round event for me. But truth be told there can be snow on the ground and as long as you can get to your grill, it’s always an option for cooking up your favorite grilled meats and vegetables. I like to start my posts with a mise en place (everything in its place). This is the easiest way to make sure I have all of the ingredients on hand and makes the cooking process much easier. It’s a pretty simple dish with just a few ingredients with the star of the show being the grilled chicken breasts. 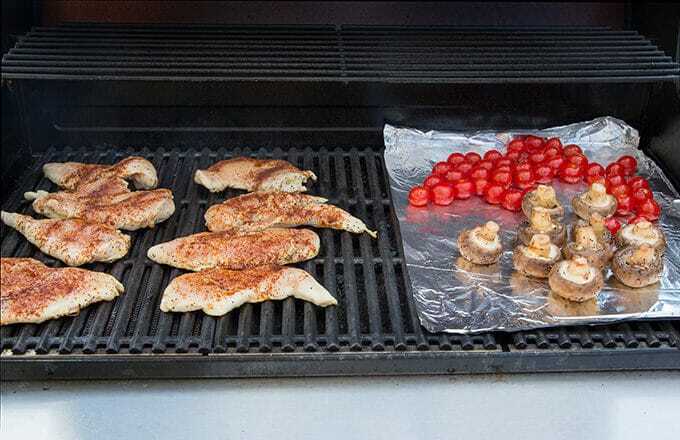 I love cooking just about anything on the grill and I have found that using foil under vegetables still give them that grilled delicious flavor without all the problems of placing the items directly on the grill. The chicken came out so OMG delicious! Moist, tender and flavorful is how I love my grilled chicken! 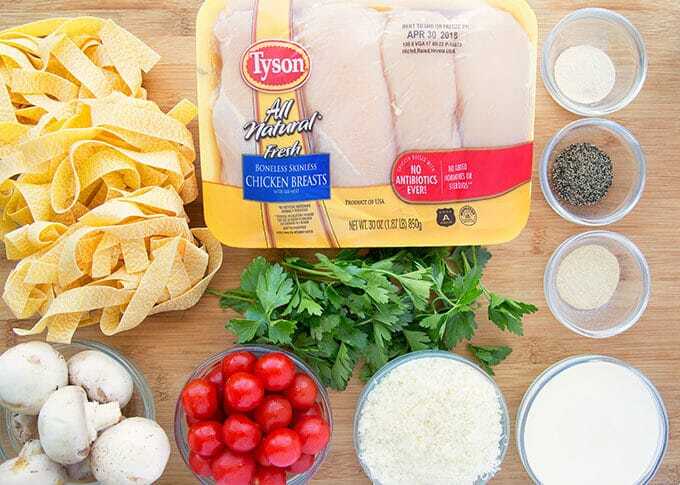 I used a light blackening seasoning on my Tyson Fresh Chicken Breasts but you can use your favorite seasoning to make them just how you like them. 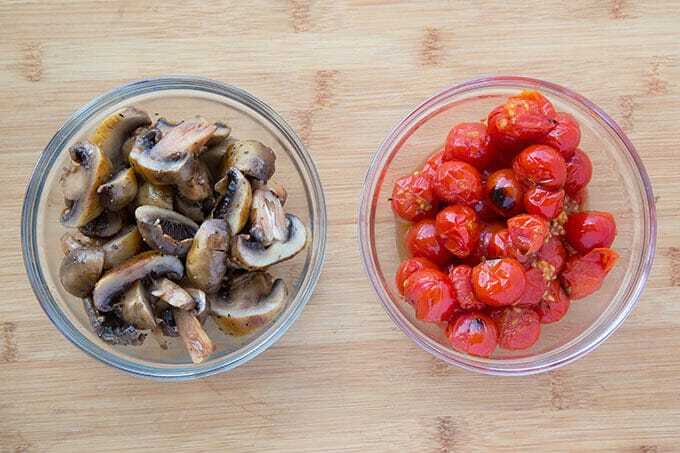 The grilled tomatoes and mushrooms added a great touch to the dish. Of course, you can oven roast them, but grilling adds a whole other flavor to the vegetables. I grilled the mushrooms whole to keep the moisture in them and sliced them before adding into the Grilled Chicken Alfredo. 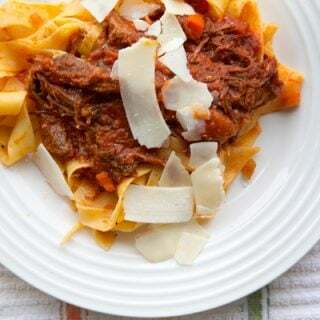 This dish is easy to set up in your favorite serving dish or bowl. 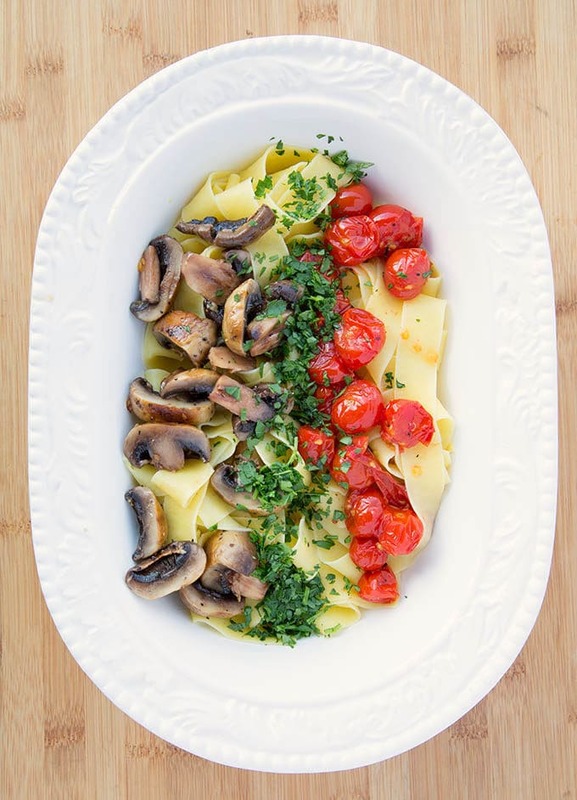 Just place the grilled vegetables and parsley on top of the pappardelle (or fettuccine) and you’re one step away from deliciousness! 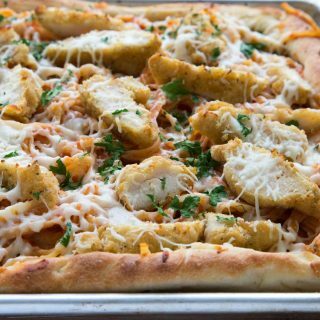 Top the ingredients with your alfredo sauce and mix together. I like to use a pretty bowl to make the presentation special. We do eat with our eyes first. Then its time to add in the ah-mazingly delicious sliced grilled seasoned chicken breasts and its a party!! 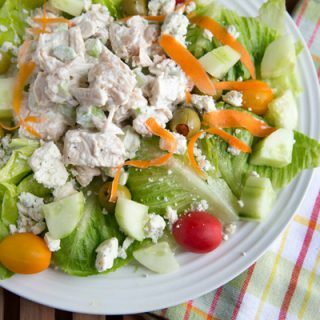 There are so many ways you can change up this dish to make it your own. 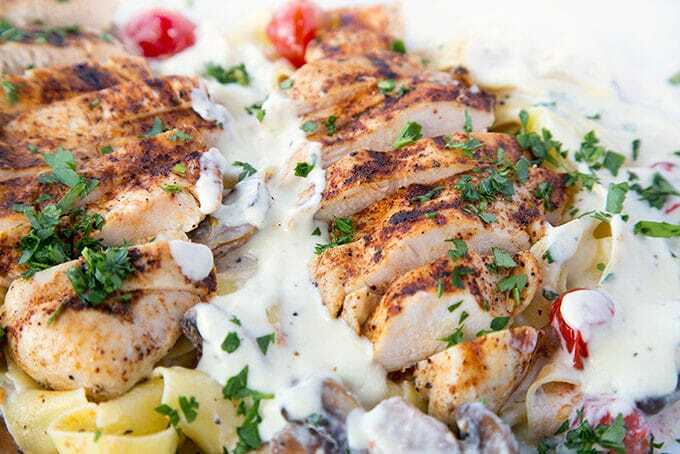 Use a different pasta, add in your favorite grilled vegetables and even replace the heavy cream with Greek yogurt to make it a lighter healthier version. Another delicious grilled dish you might enjoy is my Trio of Grilled Skewers. **Just a note if you decide to use Greek yogurt: you can’t heat Greek yogurt, its got to be room temperature when you mix it with the hot pasta. I’ve been in a major chicken kick lately! I think my kids and husband would totally love and enjoy this dish. HOly smokes. just got done with dinner but I’m ready to eat again after seeing this!!!! yummmmmmmmy!!! 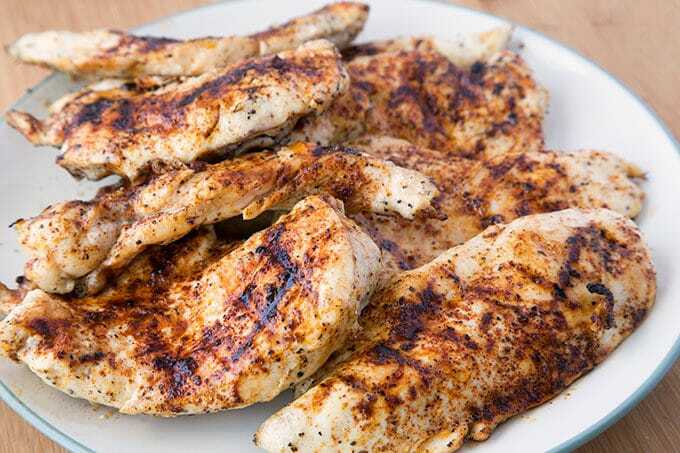 I love grilled chicken ! 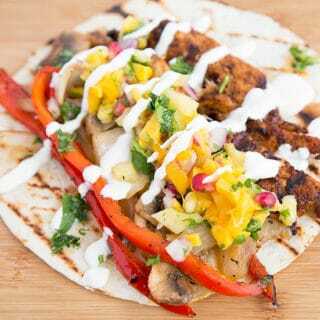 this Grilled Chicken looks healthier and delicious YUMMY!! Wow. There are some amazing flavours going on here. The addition of pineapple is genius. Wow, I LOVE CHICKEN ALFREDO! It is definitely one of my favorites <3 I also love to use the grill out here, we've been using the same one for almost 8 years — we need to upgrade haha. As a native Floridian, we used the grill all the time! And now in Texas we still do. 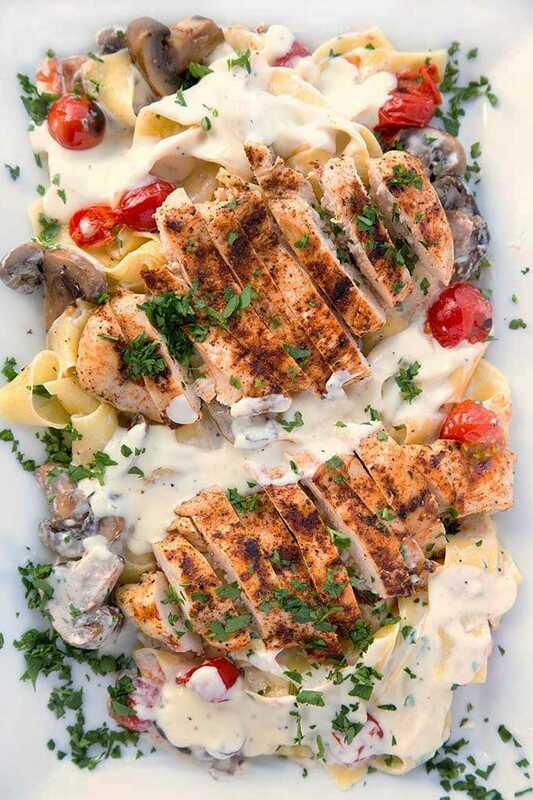 I love alfredo sauce, and my husband loves to grill, so we will definitely be trying this one!! I am definitely saving this post. This recipe looks gorgeous and delicious. Grilling is one of the best parts of summer. What a gorgeous presentation. This looks absolutely delicious!! I especially love that you grilled everything on the bbq. Less clean up is huge! That sounds delicious! 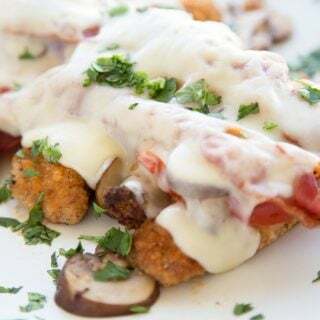 My family would love this recipe – they’re big fans of any chicken dish! Sounds wonderful. And pretty simple fish to make. Your breakdown of calories was for entire amount? Or ser ving? I will be trying g to lighten it up a bit. The total calories is per serving. It is a little rich. 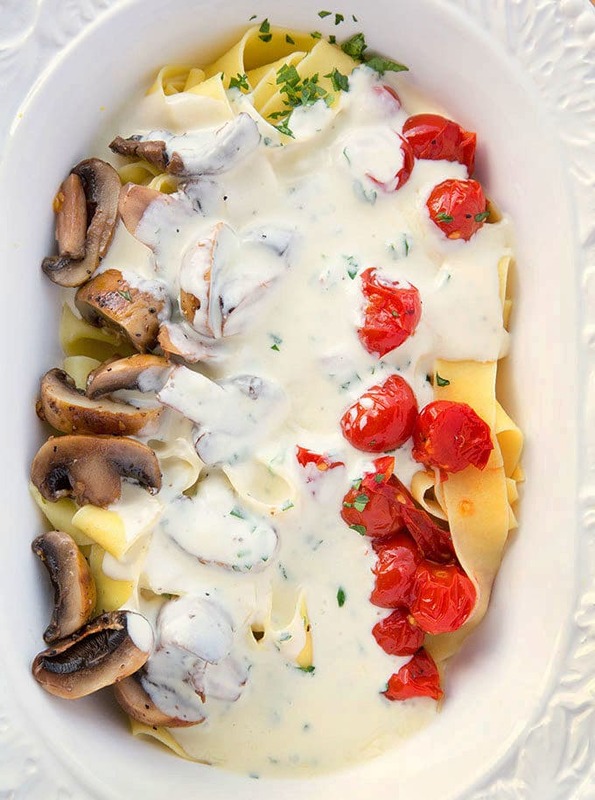 You can easily tone it down by using greek yogurt in place of the cream, just add it room temperature to the noodles and toss it with the cheese and other ingredients. You just can’t heat Greek Yogurt on the stove, it breaks down. How many would you say this serves? Forgive me if I missed this notation. That recipe is set to make 4 servings.